One advantage of visiting top Charleston museums like the Gibbes is that they provide free wheelchairs for guests at the visitors’ service desk so you can enjoy the art and not tire yourself out too much. The facility at 135 Meeting Street in Charleston also is equipped with three ramps and elevators to assist you as you’re convalescing. Since 1905, the Gibbes has been nourishing and healing souls with the magnificent exhibits that tour the city. Each year, you’ll find six to eight new exhibits to complement the standing exhibits that portray the history of the bustling seaport since the 1700s. The Charleston Museum: Calling itself “America’s first museum,” it’s considered the first in a mile-long string of Charleston museums on Meeting Street downtown. At the Charleston Museum, you’ll see artifacts from military and agricultural societies, as well as remnants of slave societies. Sweetgrass baskets are one of the left-over reminders of the troubled past America bears and the hauntingly beautiful art it produced. Karpeles Manuscript Museum: This museum houses the largest collection of manuscripts important to America’s history in the world. It’s located in a Greek revival building that was formerly a Methodist church. In addition to a permanent collection that includes the Constitution of the Confederate United States, you’ll find revolving exhibits that are listed on the museum’s website. The Old Slave Market: History feels alive as you’re whisked back in time while standing on the very spot where slaves were bought and sold. The building is on the National Register of Historic Places. In the museum, you’ll find African arts and crafts, as well as timelines and artifacts that show the primary role that Charleston played in the country’s slave trade. American LaFrance Fire Museum: A short drive up I-26 to the north side of Charleston, you’ll find the country’s largest collection of firefighting gear, trucks and paraphernalia. If you have any kids with you, they’ll relish the opportunity to climb all over a few fire engines and play in the interactive exhibits. Many visitors say this museum is worth the trip. 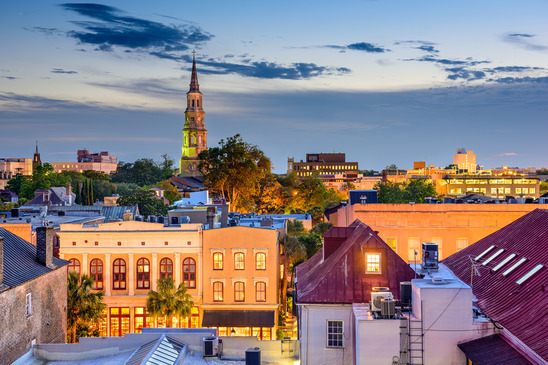 And if you still have any energy left after visiting these famous Charleston museums, take time out to shop at the Tanger Outlets near the American LaFrance Fire Museum. Get back to the present day and peruse some modern Americana. Or take a break at one of the many restaurants. Charleston has many things to explore.